Marble Arch Caves are one of Europe’s finest showcaves allowing visitors to explore a fascinating natural underworld of rivers, winding passages and lofty chambers. Lively and informative guides conduct tours past a bewildering variety of cave formations. Stalactites glisten above streamways and chambers, while fragile mineral veils and cascades of creamy calcite coat walls and create shimmering terraces. 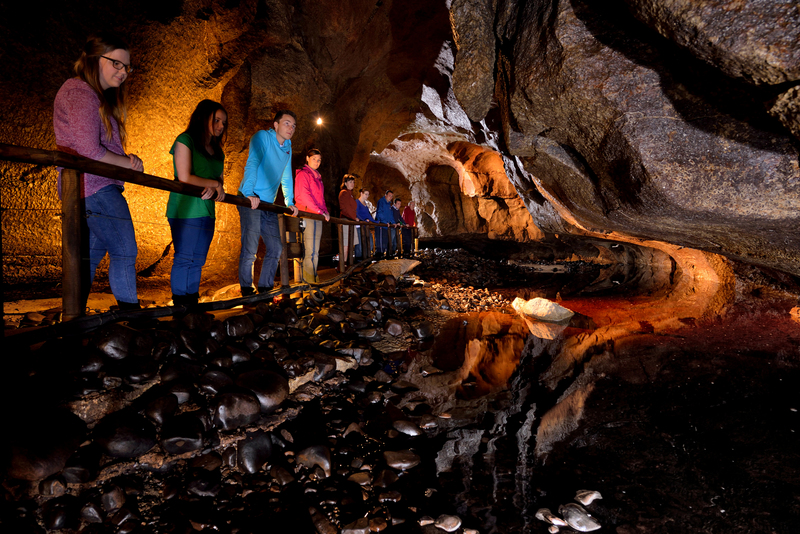 Spectacular walkways allow easy access while powerful lighting reveals the stunning beauty and grandeur of the caves. Electrically powered boats glide through huge caverns carrying visitors along a subterranean river. Tours last for 75 minutes and are suitable for people of any age and of average fitness. Comfortable walking shoes and a warm sweater are recommended.